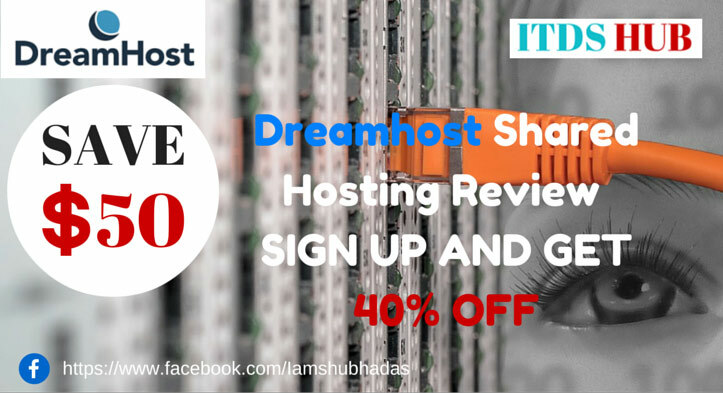 In this topic, I cover about Dreamhost Shared Hosting review. Before we move the topic, I want to share my Webhosting journey. I started my blog on 1st July 2015. A long time my blog was hosted on Hostgator server. Some days back I move my hosting Hostgator to Dreamhost. Now my blog ITDS HUB hosted on Dreamhost Shared Hosting server. After buying their hosting, till now I have not faced any issue of their server. Their customer support is excellent. I have been fully satisfied with their services. I write this post to help those people who want buy new hosting as low price. Dreamhost provides many features with low price. In this post, I also added a discount coupon by which you will get $50 discount. Dreamhost offered to their client 4 types of hosting plan. They are started only shared hosting plan at beginning. Now Dreamhost also started managed WodPress hosting, Virtual Private Servers & Dedicated Servers. This post I will cover about shared hosting plan. As a beginner choosing best hosting service is very difficult. At ITDS HUB is hosted in Dreamhost shared hosting server. After researching, I decided to buy Dreamhost shared hosting. Before getting started I want to share with you a brief history of Dreamhost. Dreamhost is a web hosting & domain registrar company founded in 1996 by Dallas Bethune, Josh Jones, Michael Rodriguez and Sage Weil. The company owned by New Dream Network, LLC and the company headquarter in Los Angeles, California, USA. The company started their hosting service in 1997. Dreamhost is the best web hosting company in my opinion. Dreamhost provides $9.95/month shared hosting plan which includes 1 free domain, unlimited bandwidth, unlimited space. But here I share a discount code by which you can save $50. So you can buy Dreamhost shared hosting plan just $5.78/month and offer ends on 10 march,2016. 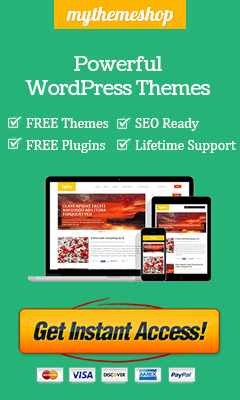 You can host your own website or blog. You can host your all client websites. You can build an E-commerce website and DreamHost provides all the tools which you need. Storage is the big factor when you buy hosting. When you buy a hosting make sure that they provide unlimited storage. Most of the hosting company provide unlimited space. Dreamhost provides unlimited space you won’t worry about space. Bandwidth is referred to network transfer or data transfer rate. When your website gets lots of traffic or goes popular then you won’t worried about that your is site crash or down. Dreamhost provides unlimited bandwidth. You can host many websites on Dreamhost server because they offered unlimited domain hosting. If you have more than one website, I recommend buying Dreamhost web hosting. You can create an unlimited business or professional email account. Dreamhost gives you a free domain for lifetime. You can get free domain from top level domain .com, .net, .org, .info. Dreamhost customer support is very good. They are ready for you 24/7support to fix your issue of your site. You won’t worry about server downtime. Because Dreamhost server has 100% uptime guarantee. If you are not happy Dreamhost services don’t worry about this. You can ask to Dreamhost support for refund money. Dreamhost provides 97 days money back guarantee. 1 Free Domain Name Included for the lifetime. Note: Most Web Hosting Company Provide free domain for 1 year. but Dreamhost provides it for the lifetime. 1 Email Id to create an account on Dreamhost. If you decided to buy hosting on Dreamhost server, You must have a credit card for sign up. After registration, you can pay your bill through Paypal account. Note: Credit needed to prevent fraud or spam user registration. If you are starting a new blog, I recommend buy Dreamhost Shared Hosting instead of dedicated and VPS hosting. It saves your $50 bucks, which is such a big amount for some newbies. As a beginner shared hosting is best, because you will not get lots of traffic per day. But If you write high-quality content, then get the decent amount of traffic is not tough. Thanks a lot, Really i have save my money when purchase dream host hosting account, Hope it will give me good experience with Dreamhost.